Information overload can mean you fail to see what is really important, and this can make it hard to make effective decisions. This is a time where you are receiving stimuli from a variety of sources, and the big picture becomes vague. You will find it hard to commit yourself to one thing as you feel torn between two options, and you will delay as long as possible before choosing one or the other. You need to look beyond the logic and the facts, as often the more facts you gather and the more information you collect, the less clear things are. At some point, you need to go with gut feel rather than endlessly analysing and pontificating. Sudden trips away or the chance to take a trip somewhere new at the last minute, can be quite an adventure; indeed, even a routine journey could go very differently than planned in a way that creates some excitement. This month although you need to project outwards, there is the feeling that you have to hold back as you are not quite ready, but you are more ready than you think. Launch yourself out into the world – have your say, publish your words, express your opinion, and get out of comfort zones. Look for ways to expand your experience of people and places. Have faith in yourself and your ideas and put them out there; you will be amazed at the reaction. The more you show others that you have faith in your ideas, the more they will rally around and inspire you. This year you have a very different approach to love, you are more openminded and have a new perspective on the issues and dilemmas you face regarding love relationships. Dealing with issues to do with your children in a constructive way can bring you together, even when the issues are challenging. Married couples will be called to come together to guide, advise, and provide children with a sense of security and discipline, and this can help unite you and remind you of what you have in common. 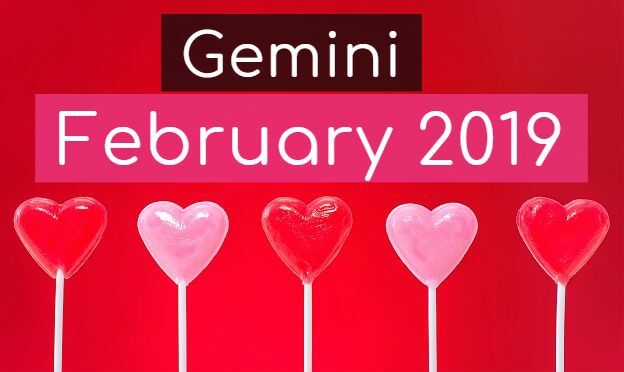 While single Gemini are rather open-minded and adventurous in love, you are not reckless, and while you may experiment socially and on the dating scene, you will actually be slow to commit regarding feelings. You will gravitate to wiser and possibly older potential lovers as you are seeking not just companionship but all-round expansion in terms of love, and that can mean intellectual and spiritual. You will look to grow from the experiences of your partner, and this can mean that in marriages and new love affairs, your partner will have valuable advice and guidance to share with you. This can help you in a practical and also a spiritual way. It can be tricky to raise funds this month for business investment, and you need to be persistent in submitting your budgets and proposals; do not be scared to go back to the drawing board to make changes, updates, and always listen to feedback to see how you can approve your approach. Further education, teaching, learning, and studying are a major focus regarding work this month. If you are studying, you may need to learn new IT skills to improve both your presentations, your written work or your analytical skills. You may be required to update skills or learn new skills – these new skills can be to do with communications, trade, systems management, and distribution of information. It is not enough to know the details; you need to be able to interpret those details and then communicate the overall outline in a way that inspires and takes things forward. In any career where trade forms an important part of your day to day activities, you will have to revisit logistical factors, update agreements or adjust methods of supply, i.e., change suppliers to take advantage of economic changes internationally. So while this month is very much about learning and dealing with details, the objective is to be able to take that knowledge to the next level – expanding on it, interpreting it, and using it in a useful and ingenious way. This is a good month for investing in stocks or trading in stocks as long as it is done in a consistent way and nothing too risky. In entertainment and art orientated careers, the political side can rear its head, and you will have to deal with vested interests, obstacles created by those in power and compromises will have to be made to keep everyone happy, especially your funders. You need to fine tune and refine the way you project your ideas, and this can be the way you present material to clients, teach or negotiate with foreign suppliers – do not get left behind technologically. Know the latest technology and how best to use it.